Thank you for visiting Self Love Beauty! I am Lisa Thompson, CEO & Founder of Self Love Beauty (SLB) and I am so grateful you found us. 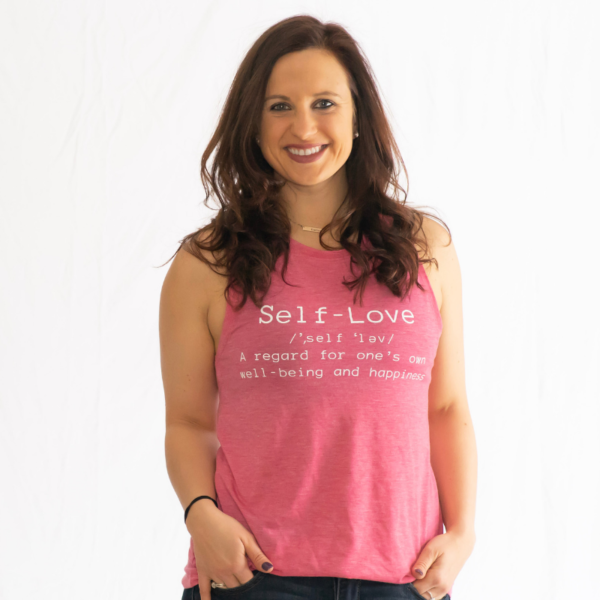 I also am a Self-Love, Confidence and Empowerment Speaker, Blogger and Coach. I started SLB in 2012, at a time in my life when I was trying to find my purpose, where I fit in and struggling with body image. I start this mission based company to share my story of finding self-love again with the hope of empowering others. I want everyone to know they are not alone on their journey to find self-love and confidence. At the age of 28, I am continuing to grow in my self-love journey. For so long, fear, what other people thought and the comparison game kept me from being well ME. Overtime, I have come to embrace all my beautiful imperfections. So a little more about me….I grew up in a small town in Michigan, where I was surrounded by fields, farms and great people. I graduated from Michigan State University, with a bachelors in Communication and a specialization in Public Relations and currently attending the University of Pennsylvania for a fellowship program on Social Impact strategies. I have more than seven years of experience in corporate communication, freelance public relations/marketing and nonprofit planning. I have been a fitness instructor for more than five years and I currently am training for my third marathon. I spend time every year in Haiti, and have fallen in love with their country. I am the marketing lead for a nonprofit over there along with a marketing lead for MMEDRA, a nonprofit that is about prevention of eating disorders. I truly have a passion for helping others. When I am not working on SLB items, you can find me sipping on coffee or champagne hanging out with my best friends, family, nephews or my puppy Denver. While I still battle many issues like we all do, I am more equipped then ever to conquer them. I fortunately have learned so much about life from watching my friends, family and myself go through different things life throws at you. I have found what love can be, still continuing to write my own story to find myself and seeing the beauty in others. This blog was put together to show everyone that other people around them go through the same things as them daily and to help them find their true beauty and self love. I love collaborating with others so if you want to work together reach out directly to me at info@selflovebeauty.com. "My vision is create a world where everyone feels empowered to love themselves and achieve anything they desire." I’m a producer on Weekend Sunrise in AUstralia which is a daily Breakfast TV show like the US Today. I just read your article in the Elite Daily about Men not settling in a relatio ship. Thank you for liking my article on Elite Daily, please email me at selflovebeauty@gmail.com to talk more about this. Oops – left a c out of my email address! Thank you so much for the note and I am really glad you like it! Let me know if we can collaborate in any way! Wow, amazing blog layout! How long have you been blogging for? you made blogging look easy. The overall look of your website is mafciginent, as well as the content!. Thanks For Your article about Vittalisa . I love your mo18#&2m7;s comment too! It sounds so much like something my mom would write. You definitly deserved this award. You worked very hard on your blog and it came out awesome. Your titles are catchy (something I need to work on) and your posts are always funny and insightful. Love it! I was checking constantly this blog and I am impressed! Extremely useful information pacrtrulaily the last part I care for such info much. I was seeking this particular info for a very long time. Thank you and good luck. As the father of two daughters, I’m thrilled to see what you are doing to instill confidence in young girls/women. Your inspiring mission to help others in their journey while following God’s plan is something I completely relate to. Please continue to create, innovate, and motivate others because I believe that is the most powerful way one can devote their time. Lisa – you are an amazing woman and I’m proud of what you are doing with SLB and for yourself as well. Congratulations and best wishes on continued sucess in all you do. You are makng a positive difference in many ways and for many people too!